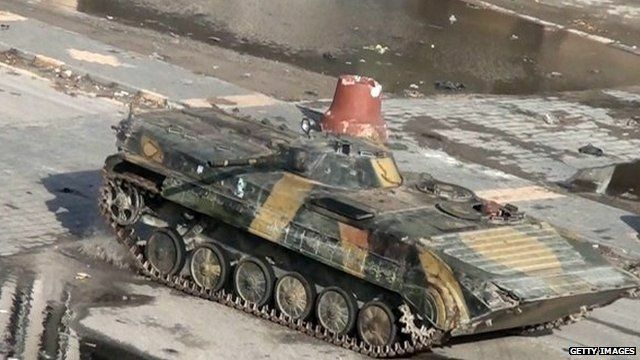 Monitors confronted in Syria city Jump to media player Arab League peace monitors have been visiting the restive Syrian city of Homs, with tens of thousands turning out in fresh anti-government protests. 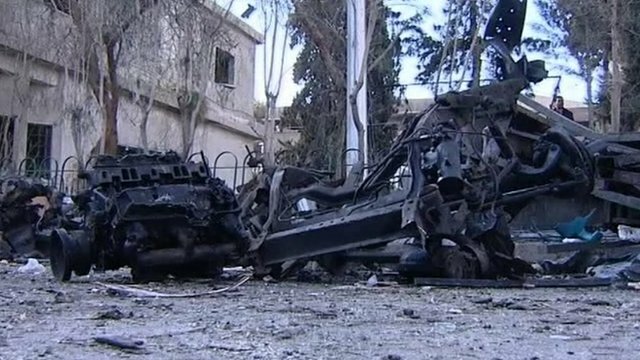 'Scores die' in new Syrian clashes Jump to media player Scores of people have been killed in Syria, opposition activists say, in a second day of heavy bloodshed. 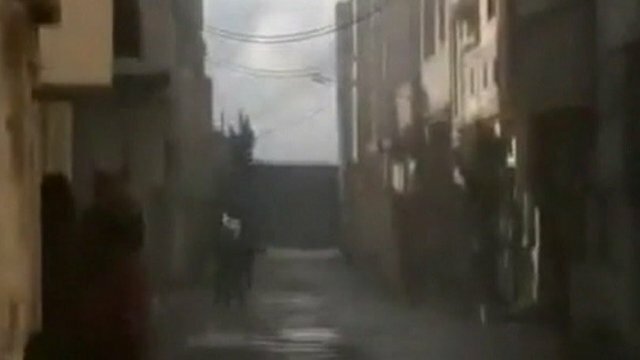 Homs resident: 'There is always gunfire' Jump to media player A team of Arab League observers has arrived in the volatile city of Homs, where activists said security forces killed 30 people on Monday. Heavy shelling continues in Syrian city Jump to media player At least 20 people have been killed in a third day of heavy shelling in the Syrian city of Homs. Angry protesters have confronted visiting Arab League monitors in Syria's restive city of Homs, demanding international protection. 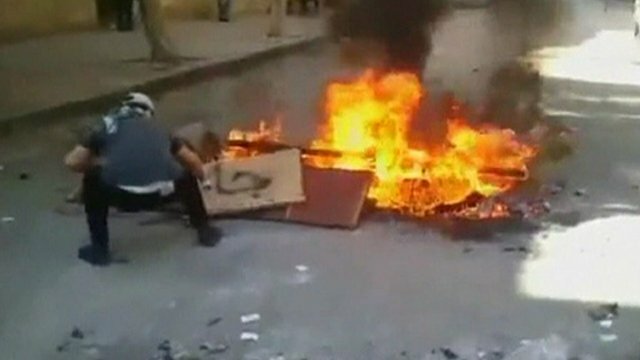 The observers are verifying compliance with an Arab League plan to end the government's violent crackdown. Tens of thousands protested in Homs as the monitors arrived. The Arab League said the first day was "very good".